I tend to be more of a mountain guy as opposed to a beach guy, but I can totally get the beauty of a wonderful beach under a blue sky. There is something about it that appeals to me at some level. I caught this shot while wandering along the beach in Naples, FL. I only had a little free time there and knew I wanted to see the ocean up close. What I didn't know is how close I was going to get. Take a look at this second photo. The beach was COVERED in shells, literally. 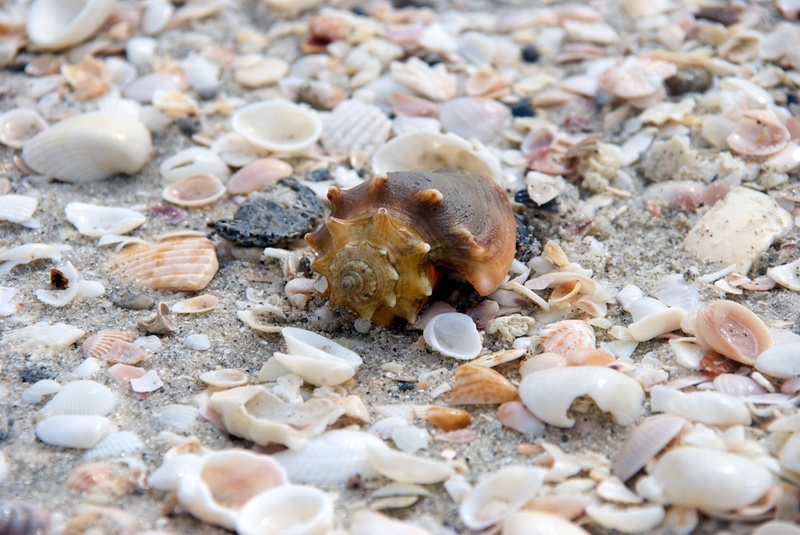 They were everywhere, and lots of those little conchs were walking around like they owned the place. It was awesome!